With the rise in the population and development of the country, there have various environmental concerns pacing up. And to control these, various initiatives are being taken up like monitoring air quality on regular intervals. Rajasthan is one such state that has already begun with it rather than waiting for the festival of lights Diwali. There are 21 places in the city that have been selected for the same. Initially, air quality at six places each in Jaipur and Jodhpur and three places each in Alwar, Kota and Udaipur will be monitored. Each station will be monitored on 24-hour basis twice in a week. Various equipments have been procured for the same. Moreover, state department recently prohibited the burning of leaves and left-over straw after harvesting of crops in the entire state. Jungle Safari Soon To Start In Buffer Zone In Sariska. 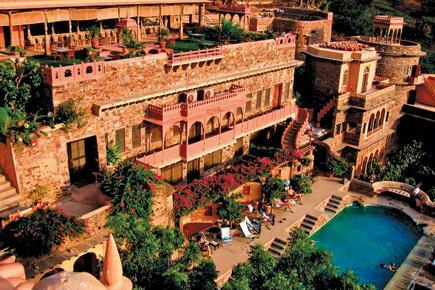 It’s not only the Ranthambore National Park that is undergoing changes in the safari schedule but the famous Sariska Tiger Reserve is all set to promote eco – tourism with the new changes from July 1, 2016. The Sariska Tiger Reserve management has registered 20 new petrol vehicles and are training nearly 30 nature guides among the locals from Alwar. The initiative of promoting eco – tourism will help developing other places in Alwar like Moosi Maharani ki Chatri, Fateh Jang ki Gummad, Alwar Museum, etc. to attract tourists, thus leading to development of the city. Even other tourist points are being developed at Pratapbandh, Siliserh Lake, Bala Quila which lies in the buffer zone of the reserve. These points are rich in wildlife like panther, hyena, jackal, sambhar, wild boar and variety of bird species. How about hiking on a blissful and adventurous break at Bhangarh and discovers the secrets of the Haunted Ruins of Rajasthan along with heritage sceneries? Flanked among three Aravali Mountains, 52 km. away from Jaipur, Bhangarh is situated in Alwar district of Rajasthan and is known to be India’s most haunted place. The remains of Bhangarh Fort are informative enough to take you on a mesmerizing journey, of the reminiscence from the past. Entry to the place is closed after sunset due to paranormal activities reported inside. It’s just not the place, but the route also gives whimsical experience. Relatively less explored in Eastern Rajasthan, Deeg Water Palace is an awe-inspiring visual masterpiece, 192 km from Jaipur in Rajasthan. Built in 1772, Deeg palace was a luxurious summer resort for the rulers of Bharatpur State. It is open 9 am to 5 pm except on Fridays. 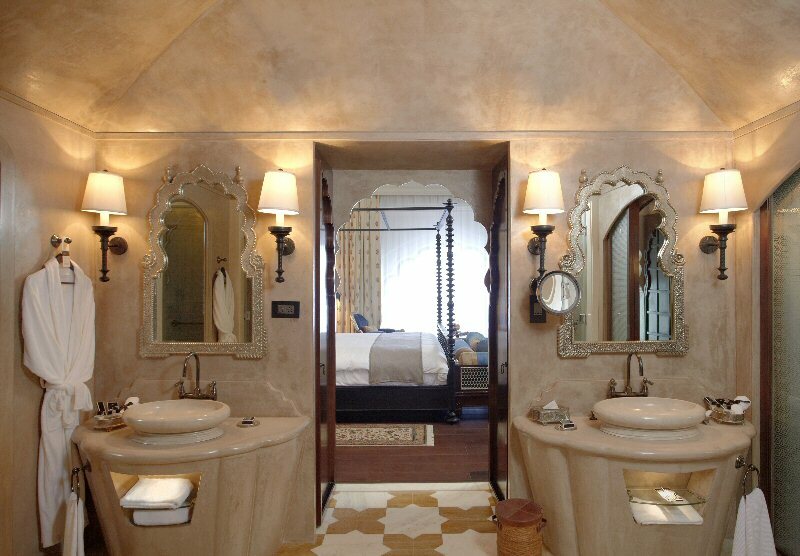 Stay the night at Bharatpur, just 32 km away from here ! Rambling between the mighty Mehrangarh fort and Umaid Bhawan, the sun kissed city of Jodhpur is situated 337 km away from Jaipur. 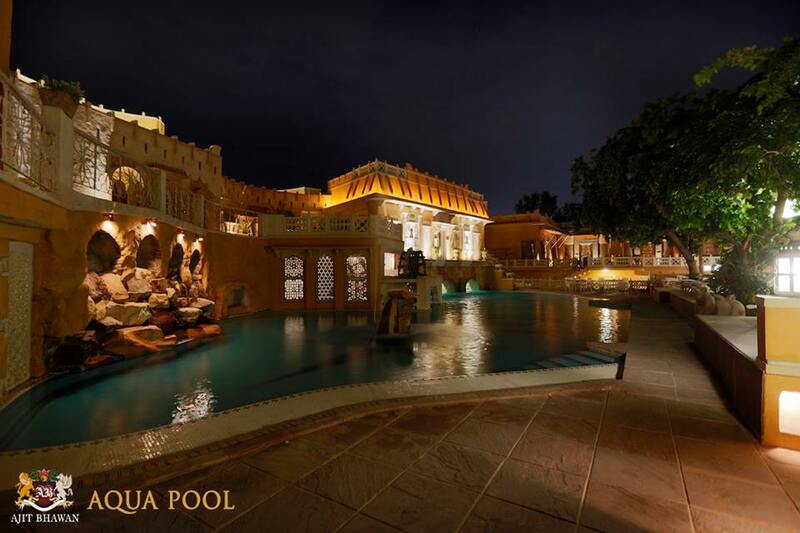 Founded by Rao Jodha in 1459, Jodhpur is dotted with soaring forts and palaces shimmering in sandstone while the narrow lanes lead to an alluring world of antiques and handicrafts. The blue of houses renders an alluring “Blue City” especially to be seen at sunrise and sunset. The other places to visit include Sheesh Mahal, and Osiyan Temple that are some of the most imposing architectural works of ancient times and the Osiyan sand dunes will take you away from all the hustle bustle. Jodhpur Sweets, Gatta, Chakke ki sabzi and Mirchibada are not be missed ! Situated 14 km (8.7 mi) northwest of Ajmer, Pushkar is one of the oldest cities in India and is also one of the five pilgrimage sites for the Hindu. The town has hundreds of temples, including 14th-century Jagatpita Brahma Mandir, a temple dedicated to Lord Brahma- creator of the world. People from all over the world visit Pushkar especially for Pushkar Fair, the largest cattle fair of the country. Set on Pushkar Lake, Pushkar is a sacred Hindu site with 52 ghats (stone staircases) where pilgrims bathe. You can also drive to the Dargah in Ajmer ! The destination pulls the attention of myriad wildlife lovers and photographers every year. The legendary Machli or T-16, is probably the oldest and world’s most photographed Tigress alive who also has a postal stamp on her. Before the summer vacations officially begin, the Indian Railways have introduced extra special trains between Delhi and Jaipur from April 10 to June 29, 2016. Keeping in mind the rush each year, the summer special train works on the same day departure and return journey. The train will leave Jaipur at 7:55 am to reach Sarai Rohilla in Delhi at 1:20 pm the same day. The return train will depart from Sarai Rohilla, Delhi at 2:30 pm to reach Jaipur at 7:55 pm. The main station on which the train halts are Gandhinagar Station Jaipur, Dausa, Bandikui, Alwar, Rewari, Gurgaon and Delhi Cantt. The superfast train run on 6 days a week except Thursdays. Already a tourist hotspot, Rajasthan has got more reasons to cheer after the Central government gave nod to four low-budget airports, which will come up at Ajmer, Kota, Alwar and Bhilwara. 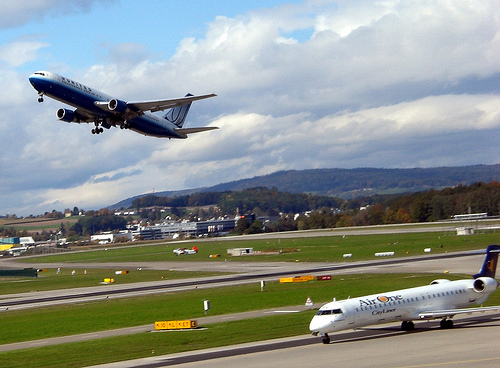 The Union government on Friday decided to set up 51 new low-cost airports with an aim to give a boost to the civil aviation sector and increase air connectivity to various destinations. Ajmer, a global tourist spot due to the dargah and proximity to Pushkar, needed an airport to give travelers the option to directly reach the city. It will be of great help to pilgrims coming to Ajmer and Pushkar. Kota which has emerged as a coaching hub in the country will benefit hugely from the decision. A majority of students in Kota are from different states who often travel in and out of the city. Alwar, Kota and Bundi are also popular among foreign tourists for their art. 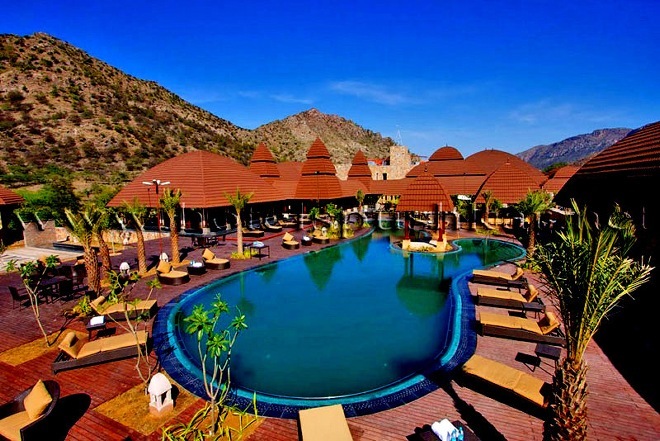 Alwar is popular for Sariska wildlife, Silliserh and beautiful palaces. “Kota and Bundi are already big tourist destinations for their miniature paintings and artworks and many foreign tourists are forced to take the road route to reach these places. Airports in all the four cities (or towns) will help tourists cut down their travel time and have a delightful journey.